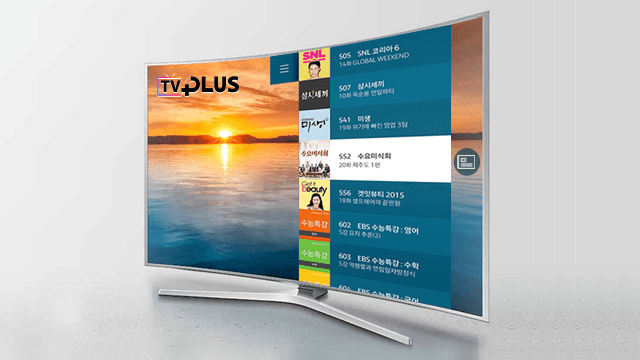 Last October Samsung started off a new service in its home country, Korea called the TV Plus. The service essentially emulates the user experience of a regular satellite or set-top-box based TV on its smart Tizen based TVs connected to the internet. The service allows a user to browse through content just like flipping through channels on a normal TV. With a satisfying user response in Korea for the service along with a retention rate of over 80%, Samsung is now eyeing to spread the service to more parts of Asia and announced the Launch of the service recenlty at the Samsung Southeast Asia Forum,2016 held at Kuala Lumpur Malaysia. The Samsung TV Plus service will first make way into Thailand and Vietnam and gradually roll-out into more Southeast Asian nations. The service hosts a wide range of content from music contents like K-pop to informative and travel based contents. Coming out from Korea, it will be interesting to see how the service will adapt to the needs of the various cultures and user demands from the various nations that Samsung will bring this service into. “We will offer a range of services that will make the Smart TV feels familiar to consumers“, said Lee Won-Jin, Executive Vice President of Visual Display Business at Samsung Electronics. This goes hand in hand with what Samsung is trying to achieve with its singular idea of bringing various services under one roof to elevate user experience. Samsung is also bringing up the Security and Protection layer of its TVs that will be launched in 2016, called the All Care Protection. This tries to minimize the risk of physical damage to the TV due to conditions like power surge, lightning or spikes and humid conditions. Ventilation of TVs that generally are the main reason behind accumulation of dust and those nasty pests like cockroaches is also taken care of by the All Care Protection. Apart from the aforementioned physical protection offered by the All Care Protection, it will also surprisingly minimize the risk of virus attacks to Samsung Smart TVs by limiting the file types playable on the TV (could turn out to be a major bummer if not done right!). It is clear that Samsung’s interest in TV business has been given a higher priority in the recent times with not just giving focus on the Hardware factors like resolution, design, materials, etc but also on content and services. Breathing new life into its Tizen platform and showcasing its potential to the world!